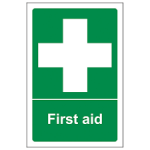 Albany Training Limited is pleased to offer our comprehensive range of First Aid Training Courses to assist you in training your staff. We are based in Southport in Merseyside but our training courses are run throughout the North West of England and we are also able to provide in-house courses all over the UK. Every client has slightly different First Aid Training needs for their staff and we specialise in providing high quality First Aid Training that meets your exact requirements at very competitive prices, often much cheaper than larger organisations. Albany Training specialise in delivering First Aid Training Courses that meet not only the legislative requirements but also meet the needs of your specific industry. All courses are certificated with the option for accreditation with a national awarding body such as FAIB (First Aid Industry Body) or HABC (Highfield Awarding Body for Compliance). The First Aid Training Courses can be run at your premises, so that your staff can learn in a familiar setting with other people they already know, leading to a relaxed and fun course. There is as much practical work as possible included in the session to give real hands-on experience and we will also incorporate (if requested) your companies policies and procedures. We can cater for small groups of staff from 8 people to whole company groups. An automatic reminder service to let you know when your certificate is due to expire is offered free of charge. Call today on 07895 824626 or on 07895 824628 to speak with one of our consultants about your specific needs or browse through the courses.